These are some of my favorite images from 2015. Are they my best? Not always. Some of these are from games that I really enjoyed shooting, some are simply shots that turned out EXACTLY how I envisioned them, and some are just good shots. I hope you enjoy them as well. 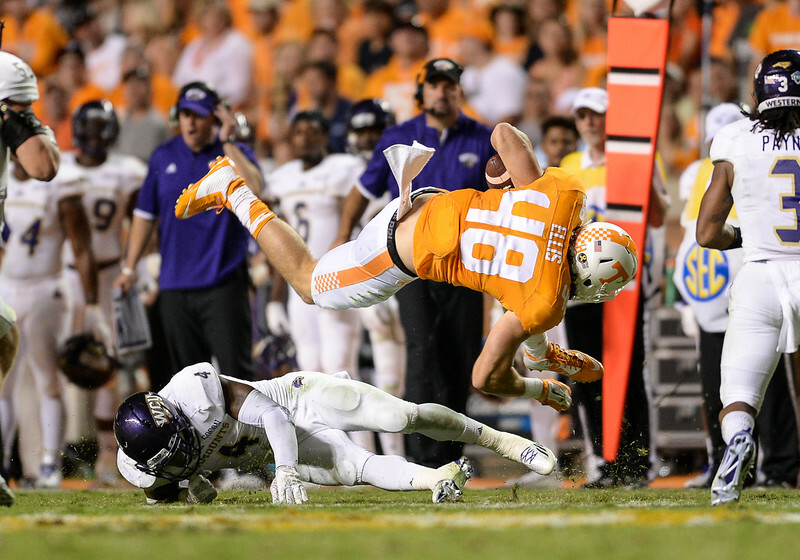 September 19, 2015: Tennessee Volunteers tight end Alex Ellis (48) is up ended during a game between the Western Carolina Catamounts and Tennessee Volunteers at Neyland Stadium in Knoxville, TN.